Really? To the say the least, McCullough's analysis is poor and to make it worse, he adds some unfair generalizations in describing Quebec as inhospitable and arrogant. He also makes the absurd claim that Quebec language laws are assimilationist (there are certainly debatable aspects of Quebec's language legislation but urging newcomers to learn the province's majority language does not mean they're being assimilated anymore than encouraging them to learn English elsewhere in Canada). Yes McCullough's musings are off base, but the unanimous condemnation of them by Quebec Parliamentarians was a bit much. It probably would have been better to have some respected thought leaders respond to the piece rather than hitting him over the head with the province's big political stick. Another option would have been to ignore his piece altogether with the likely result that it would be swiftly forgotten. Our politicians claim that it was the fact that it was published in the influential Washington Post that justified that the Parliamentary intervention. But we can rest assured that readers of the Post that are largely focused on the daily machinations of their volatile President aren't going to be distracted by a news story about Quebec however provocative it might have been. It's hard to imagine anyone in the American capital in the middle of a conversation about President Trump being interrupted with "yeah, but did you see that story in the Post about Quebec." If anything it's the need for all our politicians to speak out in a united front that gave McCullough attention and may even have gotten some to erroneously believe that there is something to what he is saying. The Quebec Parliament's motion makes you wonder whether our provincial politician's objective was to rectify McCullough's distortions or to seize an opportunity to remind the voters of their readiness to defend their honor in the face of what got construed as a vicious attack on our collective pride. After all, our elected officials insisted that all Quebecers were deeply insulted by McCullough. 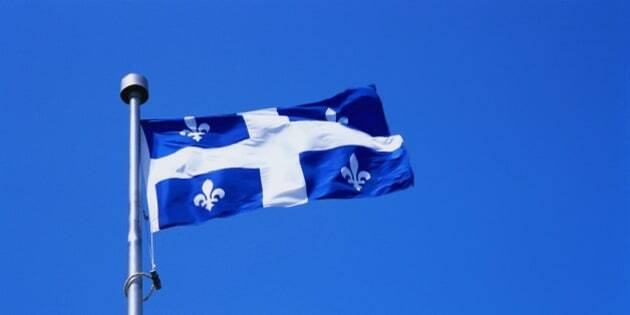 The truth is few Quebecers lost sleep over the matter. Even though the Post shouldn't have published the piece, it surely is far from enough to damage our province's reputation. It's difficult to convince Quebecers to let McCullough's text roll off their back. Some legitimately chose to take their views to the web pages of the Washington Post. Not a bad idea at all, though a few contributors served up their own set of generalizations about English Canadians which didn't make them look any better than McCullough. The underlying question in all this is what the best response is to such things. All that was probably needed was to a strong letter to the Washington Post as was effectively done by our province's delegate general in New York, Jean-Claude Lauzon (http://ici.radio-canada.ca/nouvelle/1016137/quebec-lettre-washington-post-texte-mccullough-attentat-mosquee). He pointed out that while Quebecers have our debates and challenges on identity issues we're an open democracy. The net outcome of the Parliament's response is that more people read the essay in Quebec, elsewhere in Canada and maybe a few more than expected in Washington. If he's paying any attention to the issue, the esteemed editor of the Washington Post, Martin Baron, is probably unimpressed with the heavy artillery that our politicians felt compelled to unleash to deal with McCullough.